Since June 2001, as the Executive Director of ZELS, included in the preparation of legislation that sets the basis for the current decentralization of competences and finances, a process which is being implemented in the Republic of Macedonia as of July 2005. He earned his Master's degree in 2011 at the University of Tuzla. Mr. sc. Jozo Bejic currently holds the position of Secretary in the Federal Ministry of Development, Entrepreneurship and Crafts. He earned a PhD degree in 2008 at the Faculty of Economics in Ljubljana, with the topic of the influence of investments on local economic development. From 2002 he has been dealing with local economic development and local finance. Upon graduation in 1998, started building expertise in local economic and rural development and standardization, as an expert and team leader in USAID programs in Serbia and the region, through the design and implementation of complex development projects for economic recovery and entrepreneurship worth over 10 million dollars. In October 2004, she began her professional career at the Ministry of Finance as an intern, where she performed the duties of a senior advisor, as well as a department coordinator. In December 2010, she was appointed as a Deputy Minister for Financial System and Improvement of Business Environment. Olivera earned her Master's degree in Quality Management at Faculty of Organizational Sciences, University of Belgrade in 2010 and Bachelor of Economy, study programme of finance, banking and insurance at the Faculty of Economy, University of Belgrade. He earned his Master's degree in 2011 at the University of Tuzla. Mr. sc. Jozo Bejic currently holds the position of Secretary in the Federal Ministry of Development, Entrepreneurship and Crafts. He is external Associate of the Business School Logos center in Mostar where he works as a Professor. He has a Certificate on professional development aimed at development of small and medium enterprises in BiH, implemented by the Perfectural University in Hiroshma and Hiroshima International Center, JICA in Japan. 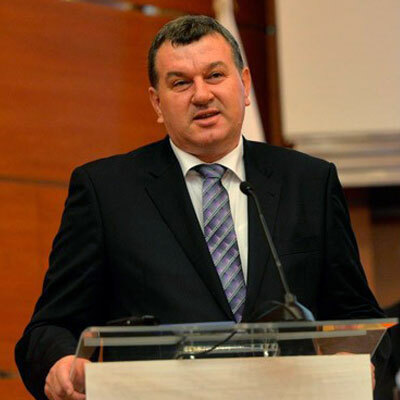 He was the first President of the Regional Business Friendly Council (BFC SEE), and he is currently a member of the Council and the Chairman of the Network for local economic development of the Federation of Bosnia and Herzegovina (NLER FBIH). He is Co-President of the JICA Alumni association in Bosnia and Herzegovina. He is in the final stage of defending doctoral dissertation titled ‘’Entrepreneurship infrastructure in the function of development of small and medium enterprises in Bosnia and Herzegovina’’. He has won several awards, most permanent ones being the awards for the development of entrepreneurship in the territory of SE Europe Creators for centuries and NALED's Arrow for the achievements in the function of the first President of the Regional Network for Business Friendly Environment. 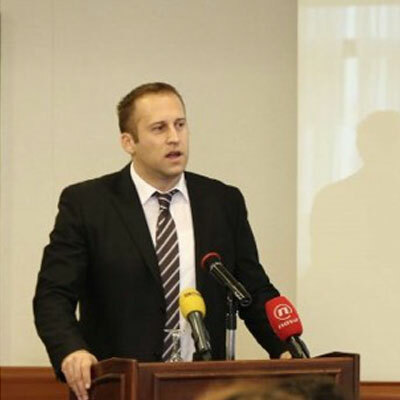 Since June 2001, as the Executive Director of ZELS, included in the preparation of legislation that sets the basis for the current decentralization of competences and finances, a process which is being implemented in the Republic of Macedonia as of July 2005. 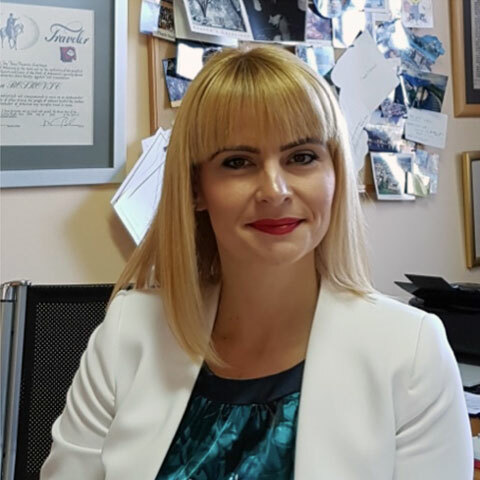 The 14-year experience and knowledge gained working with municipalities across Macedonia and the region, and her specialization in the area of fiscal decentralization, enables her to be a visiting professor on the topic of local government at the Faculty of Law within Ss. Cyril and Methodius University in Skopje. Under her leadership, ZELS gained international recognition and became a member of CEMR (Council of European Municipalities and Regions), NALAS and ALDA. Moreover, ZELS delegation participates in the work of the Joint Consultative Committee between the Republic of Macedonia and the European Union, represented via the Committee of the Regions. Her skills in the field of local and organizational management are advanced by taking part in study programs in Switzerland, the Netherlands, Belgium, Denmark, etc. Her professional career started as an engineer and grew in the direction of project management, commercial and project engineering, coupled with trade promotion, commercial management, and extensive experience in administration, accounting and organizational management. Graduated from the Faculty of Mechanical Engineering within Ss. Cyril and Methodius University, Skopje at the Department for Hydraulic, Pneumatic and Automatics. Fluent in English. He earned a PhD degree in 2008 at the Faculty of Economics in Ljubljana, with the topic of the influence of investments on local economic development. From 2002 he has been dealing with local economic development and local finance. He is the author of more than 30 scientific and expert publications. During his education, he spent time in renowned institutions such as Urban Levine College of Urban Affairs Cleveland State University and London School of Economics and Political Sciences, with research scholarships. He was also a consultant on numerous projects in the field of local economic development and local finance within the projects of USAID, UNDP, UNOPS and other institutions and donors. Starting from 2013, he has acted as the Director of the Center for Local Economic Development of the Faculty of Economics in Rijeka, company dealing with development projects in the field of local economic development, and particularly the development of information and communication systems needed by local governments and entrepreneurs. Upon graduation in 1998, started building expertise in local economic and rural development and standardization, as an expert and team leader in USAID programs in Serbia and the region, through the design and implementation of complex development projects for economic recovery and entrepreneurship worth over 10 million dollars. As the first employee of NALED, and its Executive Director since July 2007, instrumental in growing an independent membership organization that five years later grew into the largest public-private association aimed at building favorable business environment in Serbia. As a graduate philologist, gained further education in the field of economics and project management in specialized training and study programs in the United States and Europe. Engaged as a motivational speaker and moderator at professional conferences around the topic of women's entrepreneurship and leadership in country and abroad. Gained international experience as a consultant in the field of certification and intellectual property protection. Actively contributes to the preservation of traditional heritage of Serbia and employment programs for women through the role of the founder and president of Ethno Network. Member of the professional organization Women’s government and international business association UnitedSucces. In October 2004, she began her professional career at the Ministry of Finance as an intern, where she performed the duties of a senior advisor, as well as a department coordinator. In December 2010, she was appointed as a Deputy Minister for Financial System and Improvement of Business Environment. During her professional engagement at the Ministry of Finance she coordinated various reform activities in the field of financial system, European integration, international cooperation, improvement of business environment, as well as public administration reform. In September 2010 she became a member of the Board of Directors of the Deposit Protection Fund of Montenegro. She is also involved in the negotiation process with the European Union and co-chairs subcommittee meetings along with representatives of the European Commission. She coordinated public administration projects with the domestic and international character, which were related to the establishment of standards of modern public administration. Furthermore, while carrying out these projects she cooperated with international financial and donor organizations such as: World Bank, USAID, UNDP, British Embassy in Montenegro and SIGMA. At the University of Donja Gorica, the Faculty of International Economics, Finance and Business she was engaged as an associate professor in Business and State Affairs and Public Finance and Development class. At the same faculty, she submitted her PhD a thesis on “The Impact of Regulatory Policy on the Economy, with a special focus on Montenegro”, and the dissertation defense is expected by the end of 2017. She is also the author of multiple articles published in domestic and international professional journals. 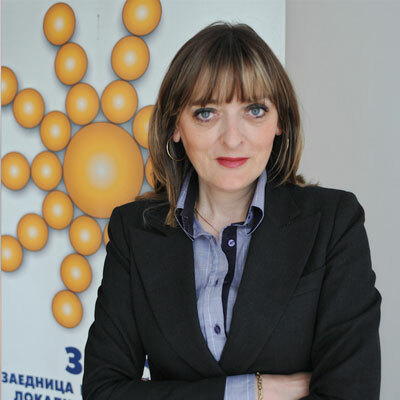 Olivera earned her Master's degree in Quality Management at Faculty of Organizational Sciences, University of Belgrade in 2010 and Bachelor of Economy, study programme of finance, banking and insurance at the Faculty of Economy, University of Belgrade. She has more than 18 years of professional experience, 16 years of project management, more than 13 years as consultant for implementation of quality management standards in companies, more than 6 years as an individual lead auditor for certification bodies. Currently, she is working as a project manager for several very important projects supporting the Chamber, Companies and municipalities. These projects are European Enterprises Network, GIZ Pro-Local, BFC SEE, USAID Sida, dealing with the local economic development. 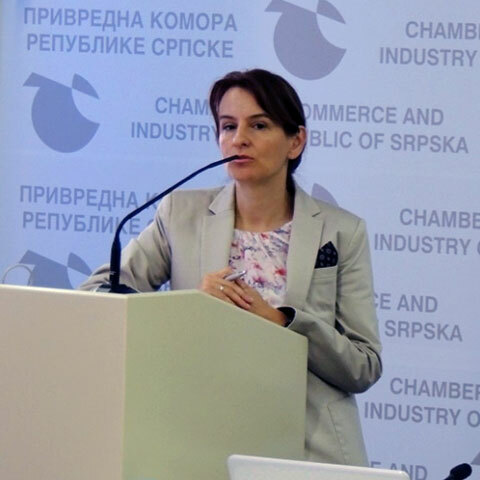 Currently, Olivera is Head of the Centre for macro-economy, business improvement and quality within the Chamber of Commerce and Industry of the Republic of Srpska thus being responsible for project management, providing services for companies regarding competitiveness improvement in the sense of trainings and advisory services. Working in the Chamber whose goal is business environment improvement and strengthening capacities regarding the competitiveness of companies, she has a continuous cooperation with companies, representatives of international projects, institutional cooperation with ministries, municipalities and local development agencies, universities, etc. 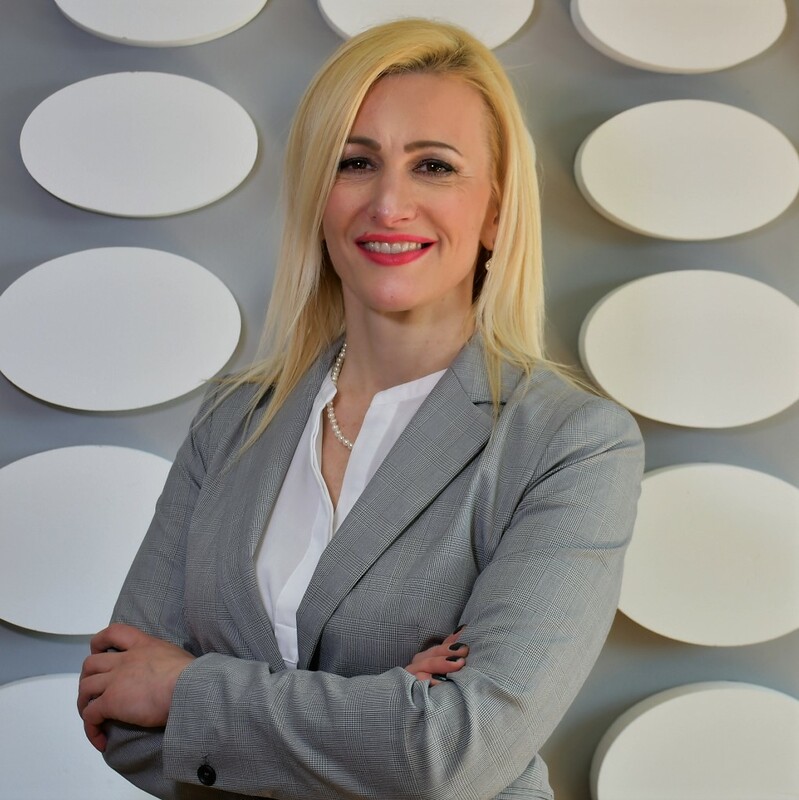 Furthermore, she is the member of Governmental Body for RS Quality Infrastructure, Member of Advisory Board for Standardization and Infrastructure of Quality of the Republic of Srpska, Secretary of the Council for Women Entrepreneurship in the Chamber System, certified ICMC/CMC – Management Consultant, certified Quality Management System Consultant, certified consultant for CE mark, certified IRCA Auditor, certified MBT-Master of Business Training, etc.